eOffices provides turnkey, short term office and long term office space including individual furnished offices and suites. We are located in the Los Angeles submarkets of West Los Angeles, Venice, Culver City, Mar Vista and Marina Del Rey. 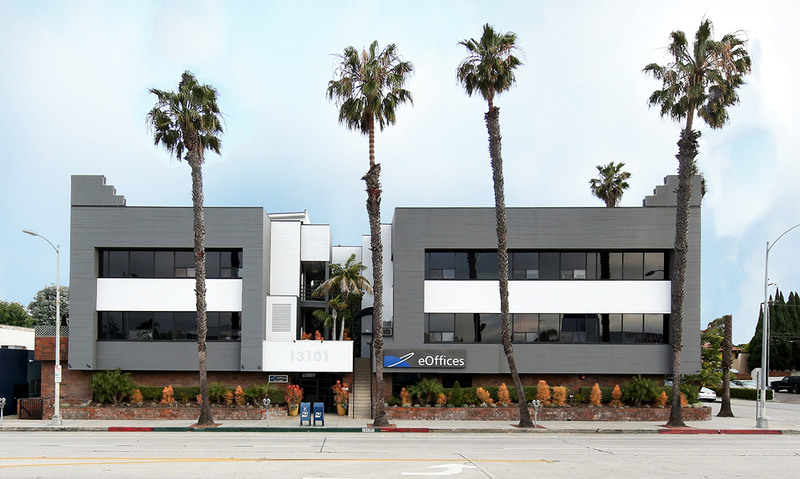 eOffices locations also serve West Los Angeles, Santa Monica and Playa Vista, California. We offer flexible & creative spaces in a professional, yet casual, office environment; short term leases and quick move in. Offices are furnished and equipped with fiber internet, phones and optional furniture; ranging in size from 150-3000 Sq. ft and ready to occupy today. Virtual offices are available with Mail Service, Meeting Rooms and or Phone Service. Our fiber internet speeds are ideal for tech, entertainment & our creative offices cater to small and medium companies. We offer 24-7 access, with ”Easy- in and- out” locations. Culver City location is ideal for small, medium and large sized companies seeking creative ready to go, turnkey space, on short notice. Ideal location for small & medium sized companies needing individual, “ready to go” offices with the flexibility to expand seamlessly to any of our other West Los Angeles locations. Ideal location for small & medium sized companies with the flexibility to expand seamlessly to any of our other Westside locations. The key members of eOffices management have been working together as a team for the past 18 years and have developed an optimum management formula to help our tenants succeed in their business. Our tenants success is our success. Actions speak louder than words: ” just ask any of our tenants about their experience”. We’re always accessible! After 18 years together we’re still happy to come to work and make things just a little better each day for our tenants. Tenant satisfaction is still the most important part of our daily work ethic! We offer a relaxed, yet professional work environment, that’s impeccable and aesthetically pleasing. We provide our tenants convenience, with “ready to go”, affordable office space and flexibility to grow seamlessly within our buildings. Ten years ago, I moved into e Offices with a small team and a big responsibility. We had been contracted to support Homeland Security and several other federal agencies in their procurement with small business owners. Were it not for the professionalism, the support and the flexibility of the management team at eOffices, we could not have succeeded and grown and helped thousands of small businesses around the country grow as well. There is a unique combination of personal interest, business environment and common courtesy that makes this the most respected building operation I have known in 40 years of tenancy. Three and a half years ago, my partner and I approached eOffices with our business concept in the healthcare field. At that time we rented one office suite. Since then, we have expanded our business and now occupy nine eOffice suites. During these last few years we have worked hand in hand with the eOffices management team, who have been incredibly supportive and instrumental in helping us meet the challenges of growing our business. Their flexibility and responsiveness has been greatly appreciated. We feel we have a strong partnership between Landlord and Tenant. eOffices understand our business needs and with their hands-on approach to management they have provided us an optimal office environment in which to succeed. 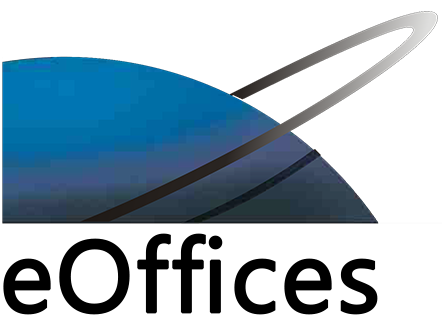 We look forward to many more years of partnering with eOffices. Vital Findings has had our headquarters at eOffices since 2010, and we chose them based on their location, flexibility, and loft-style creative space. The move was plug-and-play for us, as all the wiring and IT infrastructure was in place.